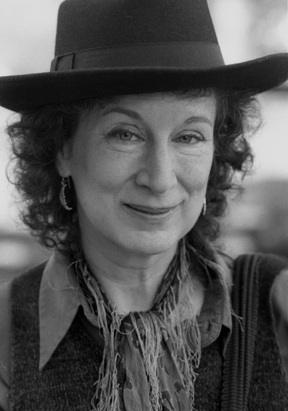 First, I read Margaret Atwood’s “Significant Moments in the Life of My Mother.” Originally published as part of her collection “Bluebeard’s Egg and other Stories,” this was probably my favorite of the three. 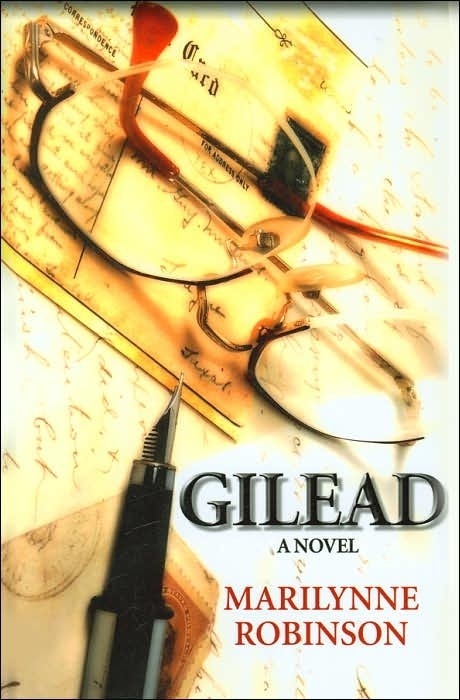 It reminded me a lot of Marilynne Robinson’s novel, “Gilead,” which I have also read recently. The narrator recalls stories told to her by her mother, and admits that, as a child, she hadn’t yet realized “that she (her mother) never put in the long stretches of uneventful time that must have made up much of her life: the stories were just the punctuation.” I loved that. Aren’t we all, armed with our own stories, just like that as well? I found Atwood’s writing beautiful, and her attempts to explain the difficulty of writing about a past age ring so true. She says, “It is possible to reconstruct the facts of this world – the furniture, the clothing, the ornaments on the mantelpiece, the jugs and basins and even the chamber pots in the bedrooms, but not the emotions, not with the same exactness. So much that is now known and felt must be excluded.” I found this story in my anthology “The World of Fiction” edited by David Madden. A great collection of close to one hundred stories. 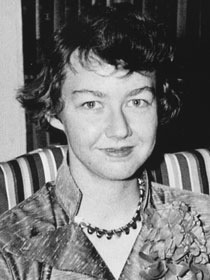 Second, I read a Flannery O’Connor story titled, “Parker’s Back.” What could this story title mean? Some sort of ‘prodigal son returns’ theme I assumed, with Parker being the star. Well, knowing O’Connor I should have know it would be a dark tale, and it was, though not as “bad” as others of hers that I’ve read. We meet O.E. Parker in the midst of a domestic squabble with his wife. I liked the opening sentence: “Parker’s wife was sitting on the front porch floor, snapping beans.” I’ve done that! Several times in my youth while visiting grandparents, a batch of green beans straight from the garden would be distributed amongst a few of us to begin preparing them by breaking them into ‘bite size’ units. A great memory and one that made me feel at home in this story immediately. Of course, that was the only part of the world spun by O’Connor in this story that was comfortable. Flashbacks tell us the story of how he met his strictly religious wife (she thinks of his tattoos as “Vanity of vanities”) and at the end of the story he finally decides to get a tattoo to cover his back. A tattoo that could not help but please his wife, he thinks. If you’ve read much Flannery O’Connor, you know this won’t turn out well… I found this story in another anthology, The Norton Anthology. One benefit of this anthology is that each story is followed by a handful of ‘discussion questions.’ The one’s following this story weren’t the greatest though, but one did touch on the handling of chronology in the story – how do the glimpses back into the prior lives of the characters add to the story, etc. 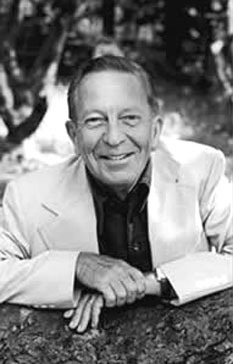 The third, which I just finished, from my “Short Story Masterpieces” anthology, was John Cheever’s “Torch Song.” A famous title, and one that I’d certainly heard of, but I had remained ignorant of the work of Cheever (with whom I share the same initials and – I just learned today – birthday) until I read his great short story, “The Swimmer” earlier this year. I really liked this story for the most part, but it turned dark in – I thought – an unpleasant way toward the end. It follows the lives of two friends, Jack and Joan, two New York residents who came there from the same home town in Ohio. I understand the term “torch song” to refer to a love song that laments an unrequited or lost love and perhaps this is indeed the meaning in this story. Jack and Joan were never lovers, yet they crossed paths often in their lives and, as a reader, even though they always seemed married or involved with someone else when they met, I kept thinking, “C’mon, Jack, you should find a way to get together with this girl.” In fact, I was a little reminded by their relationship of the characters Jake and Brett from Hemingway’s The Sun Also Rises, for whom I had a similar feeling. I was disappointed with the direction that “Torch Song” took, however, and though I found Cheever’s writing to be great (as it was in “The Swimmer”) I didn’t like this story as much as the other two. 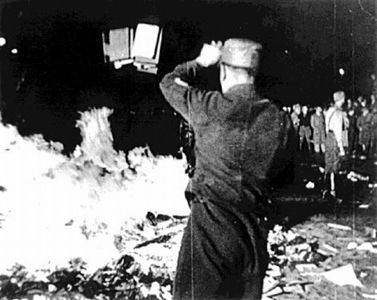 In honor of “Banned Books Week” (starts Sunday!) the book club at the Kurt Vonnegut Memorial Library in Indianapolis read Ray Bradbury’s often-banned novel, “Fahrenheit 451.” At our meeting yesterday, we were also lucky to have a special guest, Jonathan Eller, who is the Director and General Editor of the “Center for Ray Bradbury Studies” in … Indianapolis! Located on the IUPUI campus, it’s part of the “Institute for American Thought” which in turn is part of the Indiana University School of Liberal Arts. This “discovery” makes me wonder what other local hidden literary treasures might await me if I looked around a bit more. It’s little wonder that fire holds a place as one of the four original, primordial “elements” is it? 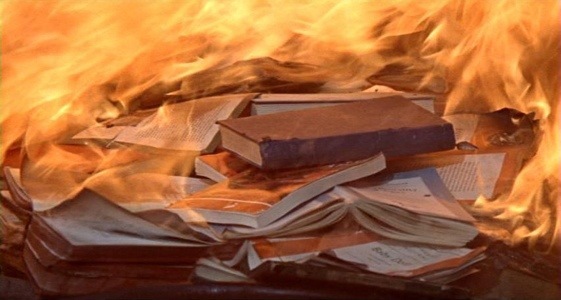 The inspiration for Fahrenheit 451 was the 1940 novel, “Darkness at Noon,” by Arthur Koestler. 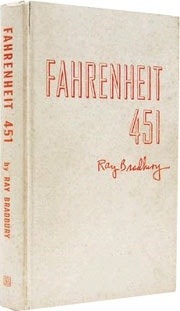 The original publication of Fahrenheit 451 included some books with asbestos board for covers (!) According to Eller, who has seen one, they have not aged well and should be opened only if wearing a breathing mask of some sort. 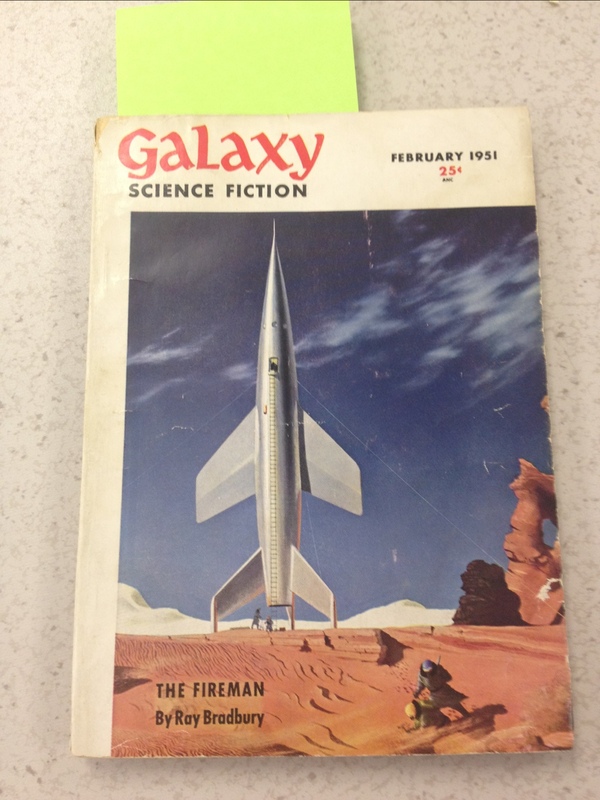 This edition is pictured at the top of this post. 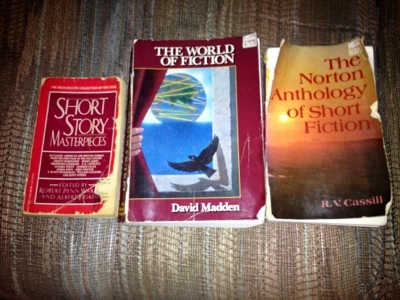 As I was pondering making my annual short story reading project a “public” challenge next year, I realized some might not want to participate because they don’t want to have to BUY a bunch of short story anthologies or author’s collections. Never fear! There are ways around that, as many great, classic short stories are available in the public domain and may be found free in the internet. We can also take another step for those who don’t want to have to go searching for a story via Google or a search engine. With this in mind, I thought I’d share a couple resources. 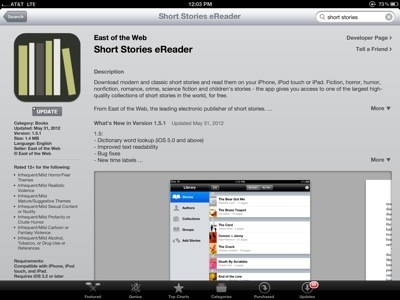 One is a smart phone app “Short Stories eReader.” I’ve had this on my iPhone and iPad for over a year now, and often will utilize it when I’m trapped in line or can steal a few reading minutes here or there. The selection has grown quite a bit in that time too. 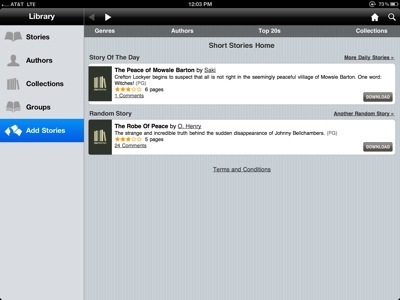 You can search for stories by author or genre, and can build a decent library very quickly. 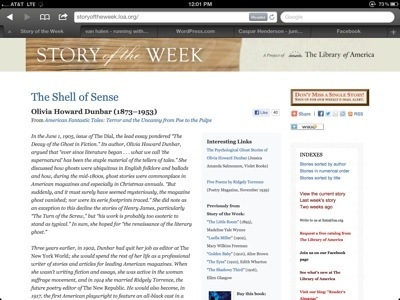 Another resource is The Library of America’s “short story of the week” website. It serves up a new story each week, but you can also review stories that have been the selections for previous weeks. Browsing through their archive, I only noticed about ten stories that I’d already read. Humbling, as I read a LOT of short stories. I admit I somewhat enjoy it when a story has a cryptic title. I’ve read at least two this year with strange names that provided no real clue to what the stories might be about, “The Mutants” by Joyce Carol Oates, “Kaleidoscope” by Ray Bradbury. 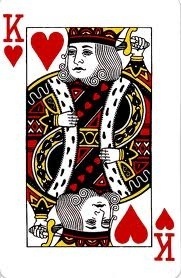 Then, this weekend when I drew the King of Hearts from my short story deck, I was led to the J.D. Salinger story, “Uncle Wiggily in Connecticut.” What the heck could that be about? 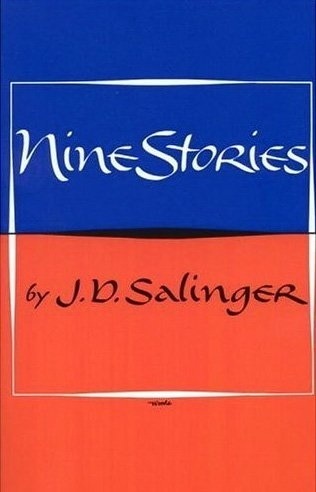 A few years back, I purchased a slim paperback volume, “Nine Stories,” by J.D. Salinger. As of this morning, I’ve still only read five of the nine (this is what I tend to do, “ration” stories in a collection out over time, so as to delay that dreaded “they’re all gone” feeling when the supply has been exhausted). 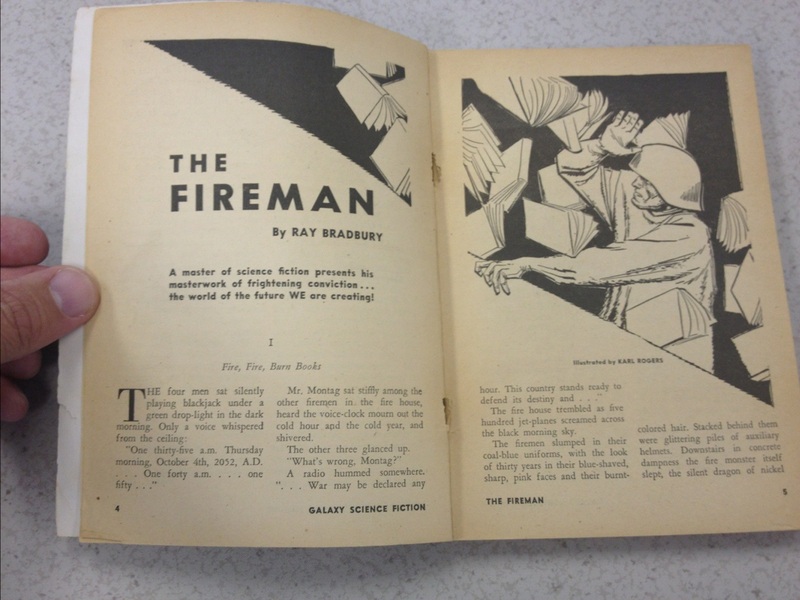 The collection was published in 1953, and features some other famous stories, such as A Perfect Day for Bananafish – which I read a couple years ago (and didn’t like) and “For Esme – with Love and Squalor,” which fellow blogger Dale at Mirror with Clouds posted about. When it came time to pick my 52 short stories for this year’s “Project: Deal Me In,” though, I had to include a couple more Salinger stories. This was one of them. 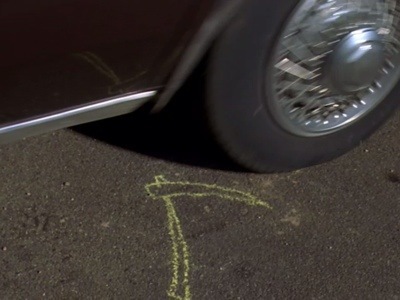 Eloise sends Ramona to bed after checking her forehead to see if she’s feverish, but is shocked later when she checks on her in bed and finds her lying “way over on one side” of the bed (as she used to do make room for the imaginary Jimmy). It’s a phenomenon familiar to all of us. Who hasn’t heard someone talk about going back to the school where they spent their childhood years and remarking “how small” everything is now – almost as if everything else is what has changed and not themselves? Of course it’s a matter of perspective, but still one that is charming and thought provoking. I wondered – would I experience a similar phenomenon when reading a book that I hadn’t opened since childhood (junior high in my case)? 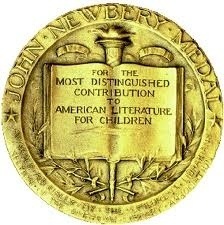 Enter “Johnny Tremain” by Esther Forbes, a Newbery Award winner from 1944. I first read it at Indianapolis P.S. #89 while in the sixth grade (I think). Unlike in my adult life as a reader, where I am surrounded by books I want to read, back then, even though I may have been surrounded by books, there were only a few I LIKED to read, and these I revisited many times. Johnny Tremain was one of these, which makes it even more remarkable how much of the book I had forgotten. Briefly, it’s the story of an apprentice silversmith in Boston in the 1770’s – a time when rebellion was fermenting in the British Colonies. Though only fourteen or fifteen, Johnny is talented and precocious, effectively running the day to day business of the silver shop of his aged master, Mr. Lapham. Johnny is treated with deference by everyone in his immediate circle and this treatment goes to his head. 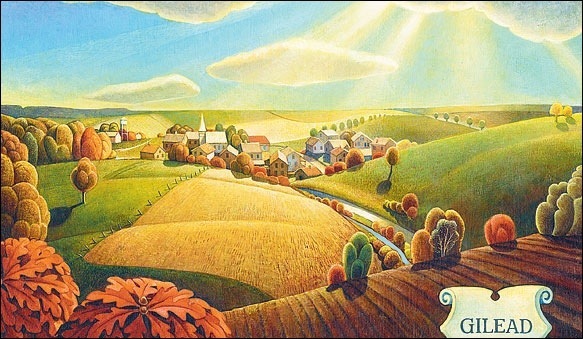 As his master would say, “pride goeth before a fall,” however, and when Johnny takes the reckless step of working on the sabbath in order to complete an order for the wealthy John Hancock, an accident occurs which puts an end to his apprenticeship. Johnny drifts somewhat idly for awhile until, while searching for a new trade, meets “Rab” – a printer’s apprentice at the shop where the Boston Observer is published. Through Rab, who, though only a couple years older, is mature far beyond his years, Johnny begins to learn more about responsibility and also how to act better and to better treat those around him. Through his work at the printing shop and delivering newspapers riding his spirited horse, Goblin (of course, Goblin was one of the things I remembered well from this book!). Johnny quickly becomes deeply involved in the work of The Sons of Liberty, and plays a role in famous events such as the Boston Tea Party, and Paul Revere’s ride. In the process, Johnny “becomes a man” and perhaps this is the main appeal to young readers. 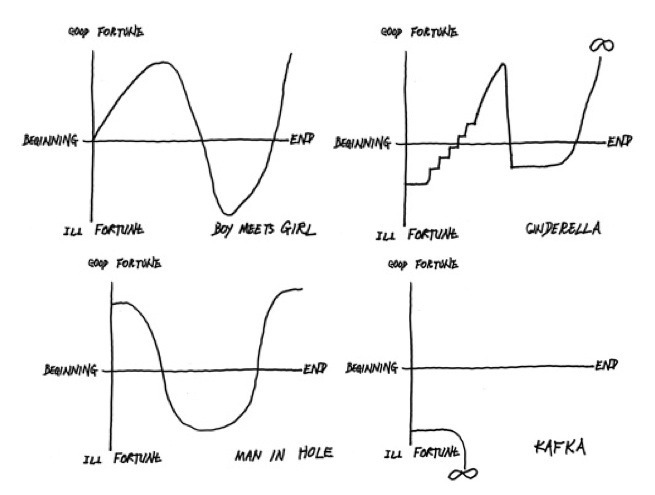 In fact, while reading this book, I was reminded of Kurt Vonnegut’s famous “story graphs.” Johnny’s story would be the “man in hole” variety. So, did re-reading this book feel like returning to an old school building and finding everything “smaller?” Not really, but one thing I did realize is that when I first read this book, I WAS Johnny Tremain (how could I not identify with him, reading it at that age, when I was admittedly a bit precocious and full of myself as well). 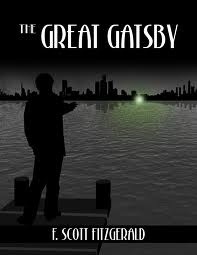 Reading it now, though, Johnny was “just” a character – but a very good one and one that I will always remember fondly. My blogging friend and former fellow-founder of a book club, Dale, has also just reread Johnny Tremain and posted about it on his blog, Mirror With Clouds. What about you? 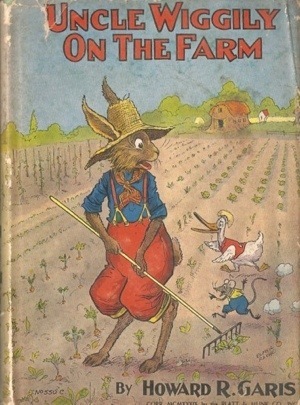 Have you, as an adult, revisited a childhood favorite book? What were your reactions? When we start the story, however, the box has taken up residence in the basement (buried hidden behind a wall, naturally) of a house in the town of “Sickle Falls.” A young couple, Maria and Chris Vakros, is just moving into the house, unaware of the tragedy that marked the end of the last resident’s ownership. 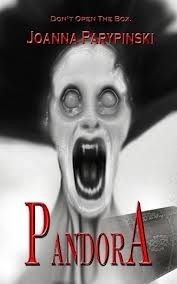 Maria quickly senses the presence of something evil in the basement, while young Benjamin Behren, a fourteen-year-old neighborhood boy plagued by bullies and by the awkwardness of that age, has personal experience with the basement from previously being dared to go into the house and basement while it was unoccupied. In addition to “interlude” chapters that detail fragments of the history of the box, there are also interludes that tell the story of The Reaper, a self appointed avenging angel who murders the impure while traveling the country. 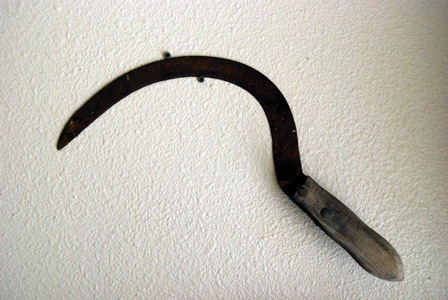 The Reaper’s weapon of choice? 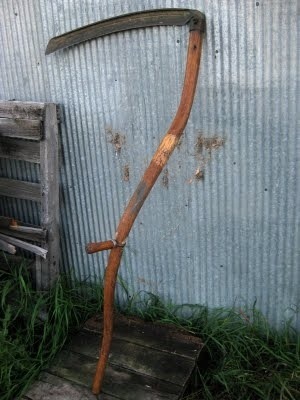 Not the familiar scythe we’re used to seeing the fabled “grim reaper” depicted as carrying. No, this reaper uses a razor-sharp sickle. And guess where The Reaper’s headed now? Why, Sickle Falls of course. Lots of work to do there. I should mention here that Parypinski pulls off a nice “twist” involving this character, one I didn’t see coming, anyway. I’ve written often before about my “chess years” and once before about former World Champion Mikhail Tal, of the Soviet Union (via Latvia, in his case). I met him at the “National Open” chess tournament in Chicago. As a former world champion, he was naturally one of the main draws of the tournament, I’m sure boosting participation and entry fees significantly. Tal was known as “The Wizard of Riga” for the sometimes stupendous nature of his play and his nearly hypnotic glare over the chessboard. He often took wild and crazy chances in his games, risking much in hopes of bewildering his opponents. In 1960 he defeated defending world champion Mikhail Botvinnik, a player known for his especially sound and unflappable style of play. It created quite a stir in the chess world. “How can he get away with playing like that!? Especially against the mighty Botvinnik! ?” Sadly, Tal lost the title back in a rematch soon thereafter. Plagued by health problems the rest of his career, he likely never reached the heights that his potential promised. 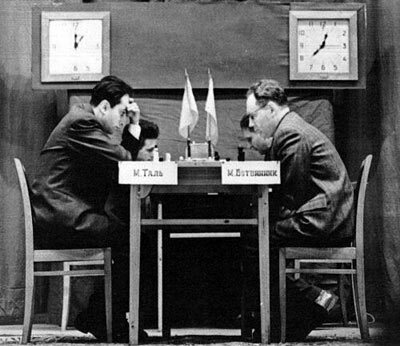 One of the side events at the 1988 National Open was a “simultaneous exhibition” by Tal. Even if you don’t play chess, you may have seen photos or heard stories of famous masters taking on many players at once, usually surrounding the master in a circle (or square) of tables, with the master making a move on one board, then moving to the next game and so on, and so on, until all the games are over. The players challenging the master are instructed to wait until he reaches their board to play their move – even if they’ve already decided on one – to allow the master to quickly ‘get back into that game’ rather than take a moment to see “what’s changed” on the board (which he could certainly do, it would just ‘waste’ a few seconds). Anyway, one of my friends and fellow competitors, (and also a former teammate), Les, also took part in this tournament and got to speak to Tal afterward. I remember Les telling me that he had asked the grandmaster “What is your favorite (of all the games you have played) game?” and Tal replied – I’m sure not for the first time – “The next one.” Les always thought, and I agree, that this was a great answer. It’s not too often that I decide to read a book when knowing so little of “what it’s about.” All I knew of this one was that it seemed constantly praised by those whose opinions I value, and that it won the 2005 Pulitzer prize. It certainly had the credentials. In fact, had I known more about it, I might have been scared off due to the strongly religious themes (with me being a relative heathen). 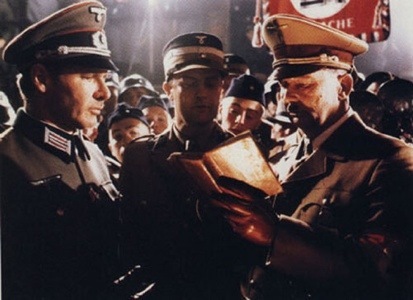 That would have been a shame, as I would have missed out on a beautifully written book. 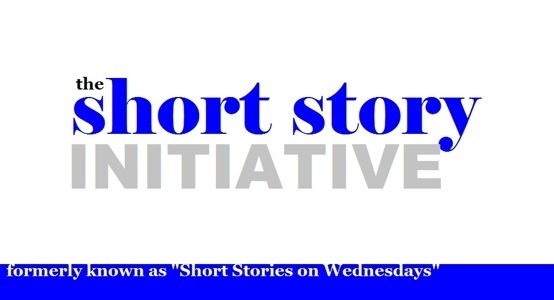 And now… The Short Story Initiative! 1. Why do you want to join The Short Story Initiative? 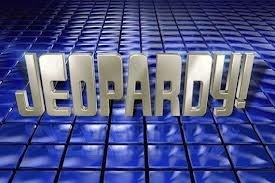 I think I’m “grandfathered in” by having participated in Short Stories on Wednesdays! 🙂 AND because I want to hear of new stories and new writers, and connect with other readers who enjoy this form. 2. What kind of short stories do you read? Is there a specific genre or culture or nationality you would like to explore through short stories? I read all kinds. In my annual short story reading project I try to have several different categories. I also enjoy re-reading those stories which are really, really good. 3. Who is your favorite short story writer? Why? “Too many to mention,” but I’ll name some: Chekhov, Kipling, Kurt Vonnegut, H.G. Wells, Oscar Wilde, M.R. James (ghost storie!s), Ernest Hemingway, William Trevor, Haruki Murakami, Jack London, Edgar Allan Poe. I admire any writer who, with the economy of words required by the short story form, can tell a complete story that includes some depth of plot and character. 4. What is the most memorable short story you have read? Again, too many to pick just one. Some stories I find myself recommending often to others are: “The Black Monk” by Anton Chekhov, “The Waiting Supper” by Thomas Hardy, “Brushwood Boy” by Rudyard Kipling, “Smee” by A.M. Burrage, and “The Three Hermits” by Tolstoy – to name just a few. 5. What is your experience with short stories in the past? Is it a good or bad experience? Good, of course, or I wouldn’t be here! 🙂 I have many hefty SS anthologies in my personal library, and many collections by specific authors. In my old book club, we had a tradition where, for each July meeting, it was “short story month.” Each member would pick a story and share it via photocopy or emailed PDF and the group read all the stories. It was always my favorite meeting of the year, as I was exposed to many new authors and stories that I wouldn’t have heard of otherwise. 7. Share something about yourself that has nothing to do with short stories. 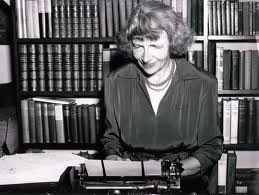 I look forward to getting to know the other short story afficionados out there, and I’d like to add a big “thank you” to Nancy for her administrative efforts for The Short Story Initiative. This is the September selection for the Kurt Vonnegut Memorial Library Book Club. In honor of “National Banned Books Week,” we read a book that has suffered the ignominy of being banned. Last year it was Huckleberry Finn. I’ve read this before too. Twice. It will be interesting to see what my fellow KVMLBC members, an intelligent group, will have to say about this one. I always learn a lot at these meetings. 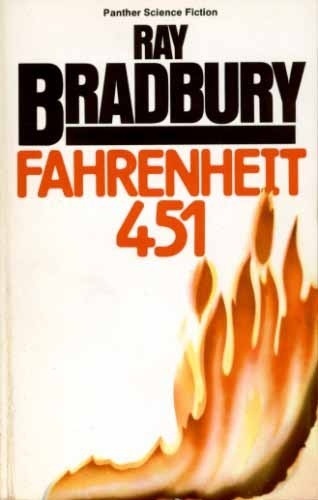 It’s a good choice, too, with Bradbury having just passed away earlier this year. 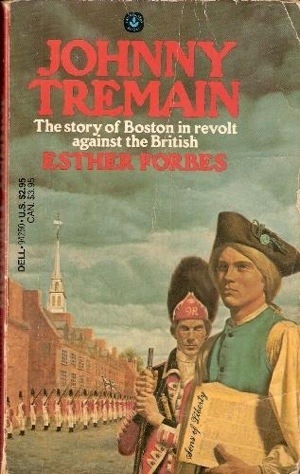 Speaking of re-reads, I’m doing a nostalgic re-read of Johnny Tremain by Esther Forbes – a favorite from my youth. Look for a post on this around the middle of the month. Fellow blogger Dale at Mirror with Clouds is also re-reading. Why not join us? 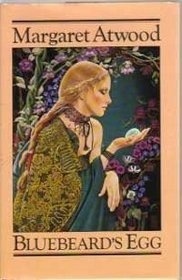 I’m also reading Pandora by Joanna Parypinski. A just-published first novel. After reading a short story of hers in an anthology a few months ago, I stumbled upon her blog and, since she is a graduate of Butler University (here in Indianapolis, just down the road from my office) thought I’d “support the home team” and read her book. I’ve already started and am enjoying it thus far. What else? Well, there are five Saturdays in September, and that is the day of the week I draw a card to pick which of my fifty-two scheduled short stories to read. The Queen of Diamonds led me, on September 1, to Maya Angelou’s “Reunion,” which I just posted about. Four more to go, though, and I look forward to learning which ones fate picks for me this month. There’s also my neglected “Author Biography” 2012 reading project. 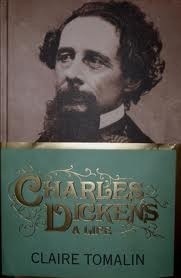 I have a Charles Dickens bio (Charles Dickens: A Life by Claire Tomalin) queued up in my e-reader, but haven’t been able to get into it yet.